ezTalks offers web and video conferencing service that makes your meetings easy and collaborative, with powerful features like HD video/audio Chat, IM, screen sharing, recording and whiteboard, etc. "Great tool for video conferencing A good piece of meeting software." I really enjoy being able to set up a meeting quickly, copying a link to copy and then being able to share and invite others to join the meeting really easily. This software is very aesthetic in its design. setting up a meeting was very easy and convenient for students and you can share the screen, you have a whiteboard all you need. Easy to use software, and helpful staff who try to solve any issues you might have. This program helps you communicate with the team and explain how well the strategy you apply. This program helps you communicate with your team and explain them as clearly as possible. I like how it interacts with people directly to avoid confusion and to be on everyone's behalf. Frankly speaking, I have not run into anything that I dislike. There was one time that the whiteboarding was a bit laggy, but that was the only time it was not working. So far no cons found using this package. It has all the things you would need for conferencing virtually.The 40 mins for "each meeting" seems a bit low. This product was extremely easy to set up and use. It really is an invaluable tool to attend meetings from anywhere. It makes us chat and discuss interactively. Although there are many people preferring other video conference platforms, like Zoom, I choose EZTalks because I find it easier to use and more affordable. 3) and I can still enjoy smooth communication via video and audio. It would be better if I could set a ringtone to remind me that the message has arrived. No other drawbacks. I mainly focus on its whiteboard & screen share features. I think ezTalks does well in these parts. So if you are also looking for the platforms with these features, I strongly recommend it to you. Sometimes I would like to discuss with my teammates about the project, but we're not in the same place. We can use ezTalks to communicate with each other. Whiteboard and screen sharing help to illustrate the sales reports easily. 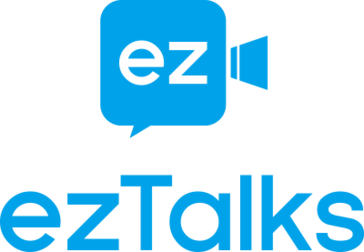 "Excellent Video Conferencing Tool That's Connecting Us With Partners"
EZtalks really is focused on the program. While we have used other video conferencing tools in the past, many of them load unnecessary features to what is essentially a relatively simple concept which is that we need to connect parties by video. Still, despite this simplicity it is robust. It supports multiple devices with minimal to non-existent lag or interference. There's no Calendar or email management or syncing features. So you have to manually enter the meeting into the calendar if you rely on such for reminders and scheduling. I would gladly pay a bit more for this feature but it doesn't deter things fully for me. Customer Support is also not perfect. While better than most, I have encountered slow response times and have felt on more than a few occasions that the Support staff are following a script and not properly evaluating and diagnosing my issue. Consider whether you need email and calandar integration, if all you're looking for is a simple video conferencing tool without the frills and half the cost then this is an easy recommendation. You also should consider which devices you'll be needing the tool for. We thought we would need Join.Me for multiple device types but ended up just being PC/Mac which Eztalk supports. Again, no frills. It connects our teams together both internally and externally as well. We use video conferencing a lot with our partners and it helps make us appear professional and well organized. "Lots of Tools for Conducting a Course"
The audio and video quality of ezTalks Webinar is generally high. What I use most often is its whiteboard, as I need to illustrate the exercises that have been sent to the students. This tool is especially great for students’ engagement and interactivity. The design capabilities within ezTalks Webinar are somewhat limited. Actually, it doesn’t affect me, but I think if this feature can be improved, more users, especially marketers will choose ezTalks. Very good for online education. This tool is particularly useful for us for education that can be presented virtually or that are being held at a location inconvenient for our students. We save time and money to travel around for courses. Also, we can attract more students to join our classes. "Easy to use + Cloud Rec + Video Conference Meeting"
The ability to easily cloud recordings of a multi-person meeting on a free plan is the biggest reason EzTalks stands out. It's the simplest process to record a meeting, hop off the call, grab your video file. As teams are ever more spread out geographically this is so important and missing from so many other video meeting, teleconference and webinar apps *especially* in their free versions. I have had a few errors with the audio and video syncing which after a video can take quite a bit of editing to get right using a video editor. The fantastic thing about EzTalks is that their free plan really makes sense for businesses starting out and meeting their early needs, and their upgraded plans make sense for the directions as a business grows, particularly with the webinars. We've tried other providers but the setup and call control generally had too many options and one person could rarely host and run their own webinar, meaning 2 team members had to be dedicated time-wise to a single call. If you have under 24 participants, that's usually not cost-effective so I recommend trying this service for a much simpler easier to manage app. "My working experience with ezTalks"
What I like most about utilizing ezTalks is the convenience and accessibility. ezTalks has all the features needed - HD video and audio, ability to share a screen or a whiteboard, and send instant messages etc. What I like most is that the signup process is convenient to follow, which doesn’t require my ID. If ease of use is your primary request, this is the tool for you. Or if you’re looking for a platform with free trial version, this will be also suitable for you. "Greatly increase our working productivity"
It's easy to use and set up, reliable and very responsive. Best thing is that you can get Mobile accessibility with many features like screen sharing, scheduling, chatting, etc. to communicate with others on some sales projects. There is nothing that I dislike. In fact, our team is satisfied with this video conferencing innovation. Ideal for all types of businesses, especially for the sales departments or companies. Work efficiently, communicate effectively and track easily. In the past, I need to book another meeting room for daily or weekly sales reports. But now, I can launch the app and ask my manager to host the meeting easily. It gives us a good platform to hold meetings and better follow up with the sales trend. "Good Recruitment Experience with ezTalks"
I like all the features provided by ezTalks for different needs but the best thing I find is that I can record for reuse so I can download the recording and select the most important part to show to the corresponding leader. It is truly the best available in the market. The mobile app gives us more freedom to use this at wherever we go. Very flexible. There is nothing that I dislike about this platform. Can be used for recruitment and communicate with no need to travel around. Staff recruitment in different places can be done more easily. ezTalks helps us save money, effort and time. It also helps us to recruit more talents despite different cities and even countries. "Meet my meeting/discussion need perfectly"
I have ever heard of this before, but only after I use it, can I find its great benefits. It can connect to desktops and mobile devices in one video meeting. I can use my phone or my computer to conduct a meeting. It brings video, audio and web conferencing together with the collaboration tools. I don’t like to buy an app without free trial as I am afraid of wasting money. Thanks to ezTalks, I can use this for free. I can save cost and communicate with my team members with mere a phone or computer. All the projects can be discussed to collect different kinds of opinions more effectively. "Meet S is a great hardware with built-in software service for group communication"
First, installation is very easy. Second, during the meeting, it is so easy to control a meeting and interact with others. We often interact by screen sharing, whiteboarding, and real time videos of ourselves. Third, it is affordable and high-performance. Honestly, I can’t think of anything major at all. For those who need to have meetings or frequent discussions for about 1-6 people in a huddle room, this is definitely a good choice worth considering. With ezTalks Meet S, we can do as its name suggests. It is easy to meet each associate even in various areas. Thanks to Meet S, we no longer waste much time and money on travelling to have a meeting. An efficient platform for managing and executing a presentation to larger amount of audience at a quite affordable price. I have bought the pricing plan at $40 for 100 participants. And they can know more about computer science with my classes. Though I like the overall quality of ezTalks Webinar, I still hope it can have more design capabilities for the waiting room, but I heard they are already implementing this. More and more webinar solutions appear in the market. It takes much time to make a comparison. Some of them are not free at all, so I can’t try all. As for this, I can try ezTalks webinar for 100 mins for free. If you meet with the same dilemma, you can also choose this. I have never had any connection problems, which is great, as this has been a pain in the past and has cost me much time. "My Favorite Video Conferencing Software"
In my opinion, ezTalks can be my favorite video conferencing software. 1. The capability of the software is satisfactory. We can use it for group meetings and for webinars about customer support. 2. It is able to host a meeting/webinar, via a computer or even with a smartphone. 3. I can record my meetings or webinars and others that I would like to share can easily get the recordings. So I don’t need to explain the same question for several times. Overall this is really amazing, the only thing I don't like is that you need to update the Webinar pricing plan after the free 100 mins are used while luckily, I can use Meetings for free without this time limitation. Good and flexible tool for those who are also giving customer support often. As for the meeting service, it helps me save time and travel cost for remote communication. I can help my customers to solve problems online. As for the webinar, I can record the sessions when showing how to solve the problems and I don’t need to explain the same question for many many times. "Effective solution for online discussion"
ezTalks helps me to connect with my other QA teammates at the same time. I can have meetings without the help of technicians. It offers you videoconferencing rooms for maintaining the standard of professionalism, security and perfection by using its features. I like its clean user interface for it’s easy to access and understand. If the internet speed can’t be good enough, I can’t reach 1080P for HD video image. I can change the resolution to adapt it also. I will recommend it to my friends as this meeting service can be used for free. We are using it to have meetings with those who will be working from home and it works quite well for that purpose. Besides, many many discussions are needed to be done related to our quality assurance tasks, so it can save our time greatly and make great contribution to our effective communication. "Nice platform works on my phone for collaboration "
We use it for remote team communication for a long time. There are several kinds of tools out there. For example, I can invite others to join our group and receive an access through their own devices, even smartphones. It makes it possible for us to enjoy seamless collaboration wherever we go. I hope I can choose to update the software “now” or “later”. Their new updates keep adding to its effectiveness. But the pricing plans are still cost-effective, even for free. Especially good for startups! We focus more on the information protection and ezTalks does well in this aspect. It AES 256 bit encryption technologies make me feel satisfied. 1) I can reach and engage my colleagues easily from anywhere at any time and on any device, though I use iPhone while they use computers or Android devices. 2) I like its whiteboarding feature. I can illustrate my ideas directly on it and this makes it easier for others to understand what I'm saying. Very amazing! Another feature, recording, is also useful, as I can record the training courses for future usage and review. 3) It has a trial option for free. I can use this software without any cost. I think it will be better if it has more than 100 mins of the free trial, although during this period, I can do lots of webinars. If you're looking for a webinar platform that is easy-to-use, I think it is your best choice. You can use it for conducting webinars without the help of technical personnel. I think you can make full use of its free trial version. That's also amazing!!! Features like screen sharing, whiteboarding and scheduling are suitable to be used for training. 3. Screen sharing- helps not to refer to the manual documents or look for information elsewhere. It would be greater if we don't have to install any application even when being a host. Definitely a good product for companies to host frequent meetings with multiple teams or employees in different locations. Our company has weekly and monthly meetings. We save a lot with the help of EZtalks, no matter cost or time. All can still communicate effectively just like in real life. "Cool video conferencing tool beyond expectations!" Setting up and starting a ezTalks conference is so easy that anyone can look like a pro! I can start a conference on any computer or even my phone and invite anyone to join in the meeting at anytime. I'd like that the chatting history can be also recorded. I invite you to use ezTalks to start adding colleagues, friends and family to keep in touch with them. Also, if it is necessary, you can also use tools to collaborate. This software helps me a lot. It's worth mentioning that, one time, there was something wrong with a teammate's mobile phone app and they wanted me to have a look. We used ezTalks to share a screen and easily see the problem. At the same time, we could talk and see each other easily to solve the problem. The process of registering and getting started with the platform was very quick and easy. The account menu and tools are organized in a very neat and user-friendly layout. Most importantly, the live support is very responsive. In this moments i can not think anything to dislike. I would recommend ezTalks as a helpful tool for conducting and recording online presentations that can allow you to communicate in a hassle-freeway. I think ezTalks is reliable and easy to use, so if you do decide to use its video conferencing service, you should be able to handle it much easier. "Extremely Intuitive Interface, Good Webinar Solution, Strongly Recommend It!" I think you may also love it. I use it quite often, and if you also need to do webinars, it can be your best option. No. I have nothing dislike. That why I just said, this is the top 1 webinar software in my opinion after I use it. "A Popular Choice Recommended by My Friends, Keeping Us Connected ALWAYS." Once connection was established it was easy enough to gain responsive control and communicate with others even far away from me. Annotations with the help of both screen sharing and whiteboarding work well although there are several classmates in our team in multiple locations on the weekend. Thanks to its high-quality video and audio, I can communicate with my friends without any limitation about the group projects we are doing. The connection via wifi will be not as good as that of the Ethernet cable connection. It is user friendly. I like to recommend it as it is free without any further cost and its features are ideal for easy interaction. It solves my problems: How to keep people on the same page effectively? How to get easy communication even the members are in various spaces? How to get a free way to achieve the goal? I liked that it made it easy for the team to collaborate even if we were not in the same room, building, or city. There were a lot of great features that make it easy to control meetings and share screens and such. I disliked that sometimes the connection could be compromised a bit, but that may be an issue on our end. There were also some glitches sometimes when trying to share screens or use the interactive whiteboard. I only stopped using it to save some money for a bit, but when more funds start coming in I will be sure to restart on the subscription. I would recommend trying out the free version first before you commit to it. You should also talk to technical support when you need technical help instead of giving up on the program right away. We solved being able to communicate with the team when we were not able to be in the same place. It made it easy to communicate with those who travelled more and those who preferred to work at home. I realized that it was better to use than Skype and I liked the benefit of being able to share screens. "Good tool for booking and hosting online remote courses with my teachers/classmates on various place"
ezTalks Webinar is my choice and I think it deserves my review as I really want more people to get such a pretty good app. I can easily show what the screen I’m trying to share, and when I am sharing the screen or the specified app, others can see simultaneously. We can discuss on the same exercise easily and clearly with its online whiteboard (pens, eraser, highlighter...). Effective helper for every student. Better bandwidth for better performance. I think this is the common problem for this kind of tools. ezTalks Webinar is a platform recommended for people who need to interact with your teachers and classmates like me. EXACTLY suitable for online education!!! It's easy to carry out online courses,training and presentations while using this software. We often use it for remote education on weekends as we will be in different locations then. EZTalks is easy to set up and use to share my screen with team members for meeting and training. The free version does have some limitations, but that is to be expected. It's pretty simple and the free version works well. There are times when training my team members requires them to see my screen for the correct steps and processes. We are located all across the country and cannot meet in person, so this helps. "Easy to use no matter where you are, great and free app." It is easy to get multiple as well as remote people together with one communication app like ezTalks to converse. Especially for us students, we don’t want to spend much money but we need communication with some features like screen sharing, recording, polling and etc., then ezTalks Meetings can be under consideration. There are often updates and while they are quick. I recommend utilizing ezTalks for your next online discussion. It is user-friendly enough for everyone, even without any technical expertise. It can start a communication with integrated audio & video easily so that everyone can get on the same page quickly. My friends and families all love it as it is easy to use and free to use. Even sometimes we need professional features to help us analyze something, this can also satisfy us. "Impression on this video conference software"
This is my first video conference software and it really leaves a good impression on my ability to connect from many locations. It's free to sign up, easy to log in and most importantly, easy to invite others to join the meeting. I didn't have any issues wih eztalks meetings, only personal ones like my headset not working and therefore getting late to a meeting. Very easy to use and ideal for online group regular meetings from our hospital. We can have presentations remotely and share important information quickly to our hospital team, no matter where they are. "A great tool for online course presentations"
ezTalks Webinar is free to sign up and it is easy to sign in with Facebook also. It's also good to share the screen, do text chat and even customize my teaching platform without any problem. Best Saas ever! I haven’t come across anything I dislike. But it would be better if the reporting feature can be more comprehensive. A great program for you if you need to host frequent online courses with others, whether internally or externally. It allows us to do that quickly without any hassle! "A good solution for training"
EzTalks’ webinar service is making our job training more easily even some of the workers are absent. The training courses can be also recorded with the help of ezTalks’ recording feature. Besides, we can use it’s screen sharing feature to share files with no need to take the necessary material everywhere. Actually, I hope it can provide longer free time limitation, although it’s price is not expensive. We need to join the training regularly to improve our etiquette. This helps us a lot as a company to get higher training efficiency with less time and cost. "Perfect platform for marketing team’s communication." I love the fact that it comes with a trial version, even some other platforms nowadays don’t provide. It is as simple as clicking on the link from the meeting to get multiple and even remote people together in one place to converse. There are often updates though they are quick. I can understand that as I also look forward to its more development. The market changes constantly, so our team quite need frequent discussion and regular meetings. ezTalks Meetings did help us a lot. Discuss quickly and effective! Communication speed between two more peoples and group peoples is good. I often use it on my PC. Sharing the screen is very useful that function to be able to give demonstrations through the shared desk. What I do not like about the tool is its limitations for being free, since it limits the time you can use. it is the best we have so far...give it a try and you will not regret it. We use it to maintain internal communication in the network and also with our clients. Very focused on individuals and very simple and easy to use. It is a bit difficult to understand the purpose of the business solely by the title. It has been great to be able to develop myself better as a business owner and help my business grow and move forward. "Usage is easy, even for new staff." Our company involves many processes with overseas partners or customers. We can host meetings with our partners all over the world by virtue of ezTalks' features and we can also use it to guide clients how to solve the problem more quickly when they meet with minor difficulties. We can pre-record some tutorial courses for our customers. It would be more attractive if the automated webinar service can be used in the free trial version. I mainly focus on its screen share features. I think ezTalks does well in these parts. So if you are also looking for platforms with these features, I strongly recommend it to you. Our service uses ezTalks to develop relationships, provide guidance and advice to our customers. So far, I don't have any cons or dislikes. One major benefit is being able to have all board members attend meetings. Especially members that don't live in the same state that the meeting is being held in. "One stop solution for all your web meeting needs!" What I liked most was the quick and easy set up of meetings. You can sign up easily and start! Scheduling, joining and hosting a meet is as easy as a single click once you are in your dashboard. Looks very clean and clear dashboard where you can find everything required for an online meeting. Sometimes setting up a meeting takes time! The buffering takes place slowly. Can be optimized a bit! Try it to understand it well! Collaborating with colleagues and staff! I like the service available to the us users. Being able to schedule limitless meetings is a blessing for a start-up. The software could be better integrated. However this doesn't deter from the overall value and ease of use. Meetings across associates or with business partners for B2B work. I love the fact that I can do video webinars with my prospects and clients. In my company we have staff all over and this gives us a chance to come together on meetings and see one another. I have not had any issues as of yet. Ever since I have used it has been working with no issues at all. I need to sign up for myself we use one log in currently per our company requirements. I am in Sales and show my clients the software live and they get a chance to see how it can benefit their business needs. "I think ezTalks has the potential of becoming a leading innovative platform for video conferecing"
"The most enjoyable meeting room experience with ezTalks Onion." I apply for their free trial program, I am very impressed by the way to get it set up and enjoy the freedom to talk in front of my TV without being tied to my earphone. I use it instead of setting up camera, and earphone. Very convenient to use, really love using it. Another thing I have to mention is that the device is used together with its own software, and it has very useful features, one I love most is "Recording". There is not much I can say, but if they can add more file formats to save the recording should be better for more users. I use it to connect three other offices, we do not have special IT guys for us to solve IT problems, but this device is simply very easy for any of us to get it setting up and maintain. I like the ease that you can communicate with other people in the meeting in a variety of formats. I don't like that sometimes the video and audio quality are non-optimal. We currently have an employee on maternity leave and have used ezTalks to hold board meetings. She is able to be engaged in the meeting seamlessly. "ezTalks makes conferencing and screensharing easy"
I like ez because you can do video conferencing for meetings and share your screen for different projects. Sometimes its not as fast as I would like or I have to adjust the volume. This helps with people who work remote and need to hop on meetings. User-friendly easy to comprehend, its something I could use to inform employees. Nothing to dislike. I think it's a great tool. I'm still new to its use so I will let you know. Using the apps for meetings on the go has been extremely helpful. The free version that is highly advertised doesn't offer a lot for users. Meetings on the go have been a great benefit. I used it's cloud service for about 3 months and basically it has all the features I have to use: screen sharing, whiteboard. What's most importantly is that their service support is very kind and helpful! They guide me very quickly all the time! The software supports windows, mac, iphone, Android phone but not android pad so far, I think they may consider adding this. I would suggest my friends to try it out. I used it for daily meetings for my team in Hong Kong and Los Angeles, so far we are going along well with it. Hey, thank you for your insights on EZTalks Cloud Video Conferencing service. Your idea is very much appreciated and yes, our product team is considering to add the android pad terminal, you can get updated once we released that. It was very easy to use. Also pretty nice whiteboard. The connection can be a bit slow at times. I used EZ Talks to set up my financial aid at school. It was really easy. * We monitor all ezTalks reviews to prevent fraudulent reviews and keep review quality high. We do not post reviews by company employees or direct competitors. Validated reviews require the user to submit a screenshot of the product containing their user ID, in order to verify a user is an actual user of the product. Hi there! Are you looking to implement a solution like ezTalks?